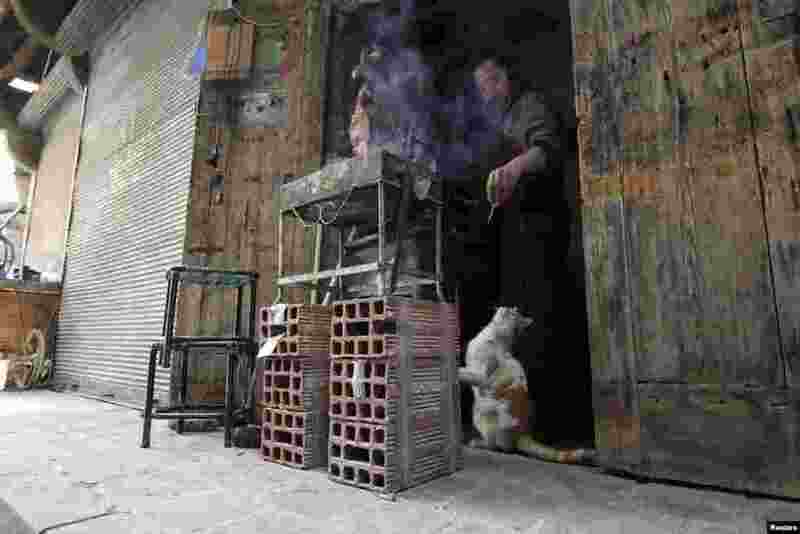 5 A man gives food to a cat in front of a shop in Aleppo, Syria. 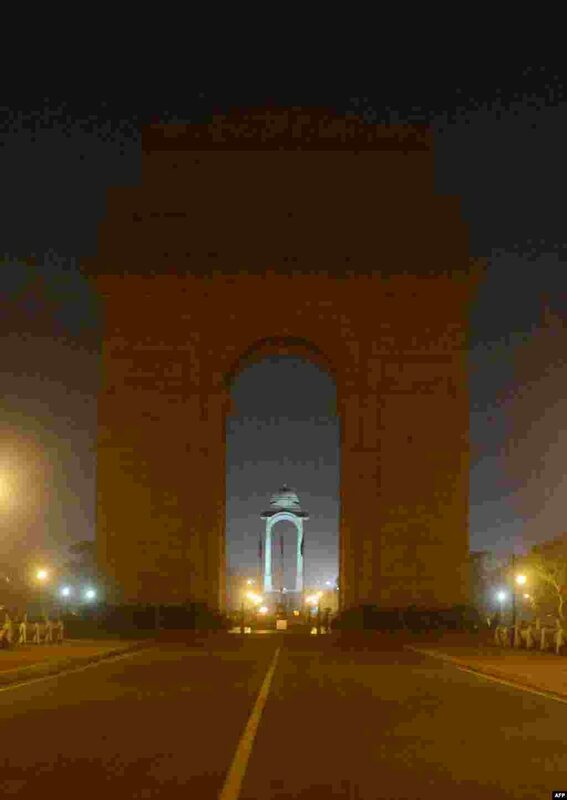 6 Indian police look on at India Gate monument, with lights switched off during an Earth Hour event in New Delhi. 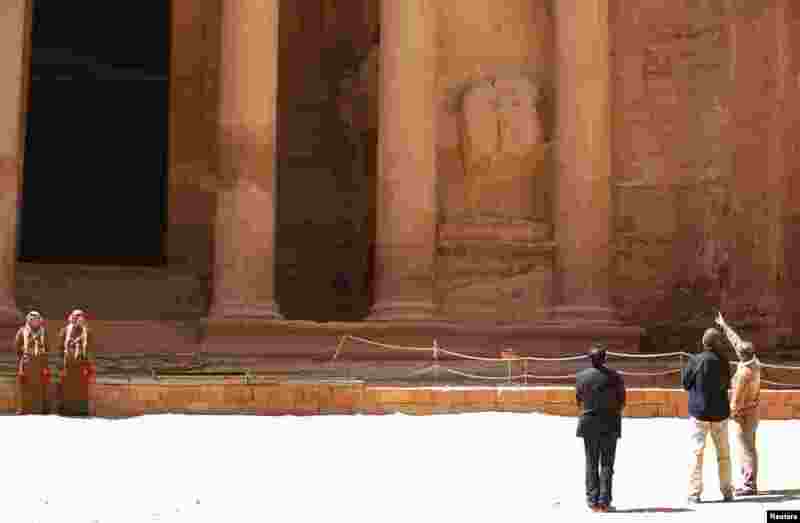 7 U.S. President Barack Obama (C) stops to look at the Treasury while he receives a tour of the ancient historic and archaeological site of Petra, Jordan.